Dr. Cramer was born and raised on a family ranch in southeast Colorado. It was here he found his love and compassion for animals at an early age. It was also where he learned the meaning of hard work, honesty, integrity, and the importance of family. Dr. Cramer graduated from Pritchett High School in 2001 and received his bachelor’s degree in Biochemistry and Molecular Biology from Oklahoma Panhandle State University in 2005. He then attended Oklahoma State University College of Veterinary Medicine. His love and compassion for animals grew even stronger while in vet school where he realized it was tremendously rewarding to help make a difference in the lives of animals and their owners. He was a member of several organizations while attending OSU, including Christian Veterinary Fellowship, American Animal Hospital Association, Student Chapter of the American Veterinary Medicine Association, and American Association of Bovine Practitioners. In May of 2009, he graduated and received his Doctor of Veterinary Medicine Degree. Since then he has been relentlessly enhancing his surgical and medical skills through additional coursework from some of the top specialists in the field. One year after graduating, he became the lead orthopedic surgeon at All Pets Animal Hospital in New Mexico. Dr. Cramer has experience in a multitude of surgical services ranging from orthopedics and soft tissue repair to oncologic and reconstructive surgeries. His personal favorites are complex fracture/joint reconstruction including TPLO. Dr. Cramer also has extensive experience with general and emergency medicine. 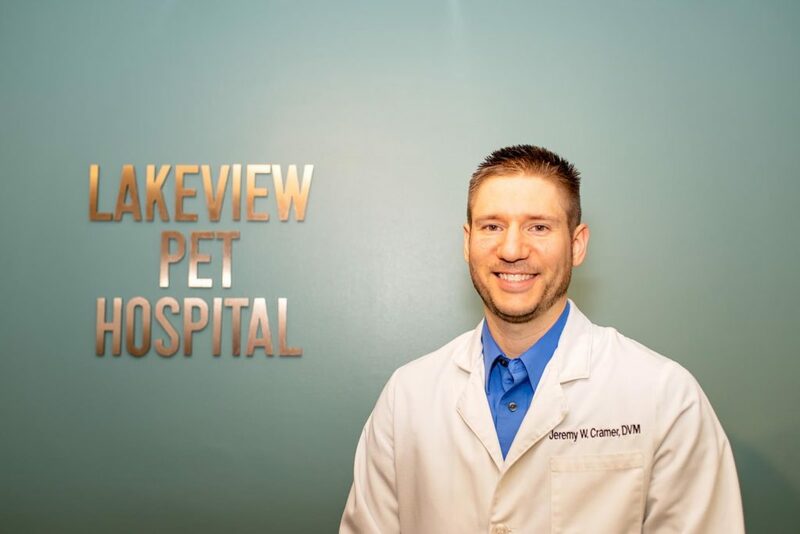 Dr. Cramer and his family love establishing deep roots at Lakeview Pet Hospital and within the Oklahoma City community. Their goal is to continually build a paramount reputation for honesty and provide supreme quality veterinary services. Dr. Schmitt was born and raised in the small town of Waukomis, Oklahoma. She was always surrounded by animals and quickly developed an interest in caring for them. She fondly remembers stopping to help turtles cross the road and bottle feeding orphaned wildlife with her grandma Pearl and mom. However, it wasn’t until junior high that she realized her love of animals would turn into a career in veterinary medicine. After assisting their family veterinarian in delivering a litter of puppies, she began volunteering at the mixed animal practice and eventually became an employee. Those first years working in a clinic taught her about the hard work and determination she would need to succeed in this profession. After earning her bachelor’s degree in Animal Science and an honors degree at Oklahoma State University in 2007, she attended OSU’s Center for Veterinary Health Sciences. She was an active member of multiple organizations while at OSU, including American Association of Feline Practitioners, American Animal Hospital Association, and Zoo, Exotic, and Wildlife Medicine. 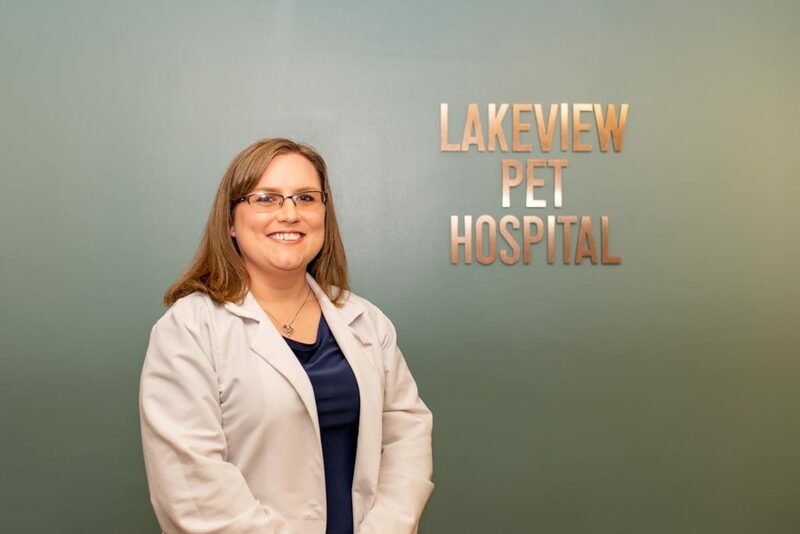 As her love of medicine and helping pets continued to grow, she realized that the bond she developed with her clients meant more to her than she could have ever imagined. She graduated with her Doctorate in Veterinary Medicine in May 2011. After graduation she began working at an emergency hospital in their intensive care unit. Having treated many critical pets and counseled worried clients about diseases and illnesses that are often preventable, Dr. Schmitt wanted to focus on disease prevention and early detection. This focus led her out of emergency care and into primary care in 2013. By partnering with her clients to provide quality preventive care for their pets, they are able to prevent many of the diseases seen in emergency hospitals. Her special interests include preventive care, emergency medicine, exotic pet medicine, and nutrition. Along with her husband Nick and son Eli, she shares her home with a lab named Duke, a great dane named Jackson, and a cat named Moe. Her family also has African spurred tortoises. Dr. Schmitt and her family are members of Lakeside United Methodist Church in Oklahoma City. She enjoys spending time with her family, almost anything outdoors, and is a loyal Oklahoma State Cowboys fan.